Dr. Bray grew up in Brampton, Ontario. She obtained a Bachelor of Science degree from the University of Waterloo and then attended the Ontario Veterinary College in Guelph, graduating in 2002. Colleen practiced in Ontario and England before moving to Fredericton, which she now calls home. She joined the team at Douglas Animal Hospital in 2009. Dr. Bray is a co-owner of Douglas Animal Hospital. Colleen is married and has 2 young daughters. She is currently owned by her two Cavalier King Charles Spaniels Scrumpy and Summer Sprinkles, as well as two Persian cats named Groloch and Princess Penelope. 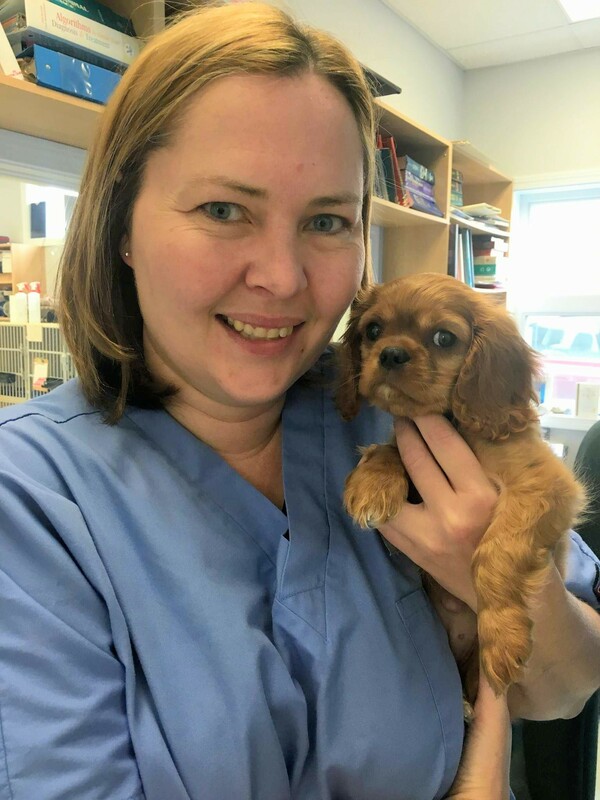 Colleen loves all aspects of veterinary work, and has special interests in ultrasound, cytology, and internal medicine. Dr. Bray also offers care for small companion mammals, such as rabbits and rodents. In her free time she enjoys musical theater, choral music, crochet, and traveling.